It all starts with DNA, but ends with the x, y and z's which make up you! The front of the shirt says "Are you genotyped?" 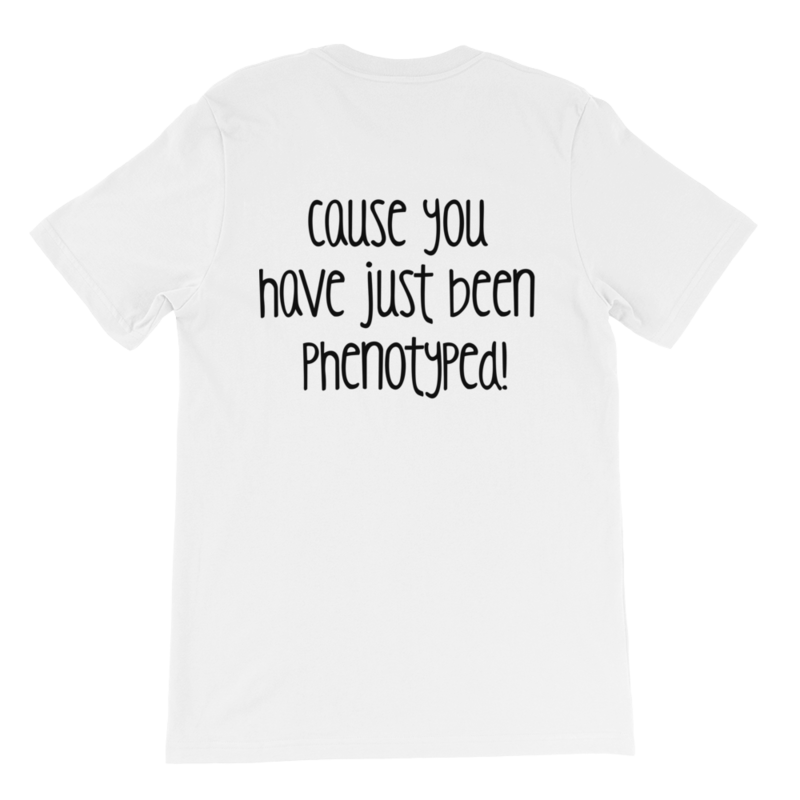 and the back says "Because you have just been phenotyped!". 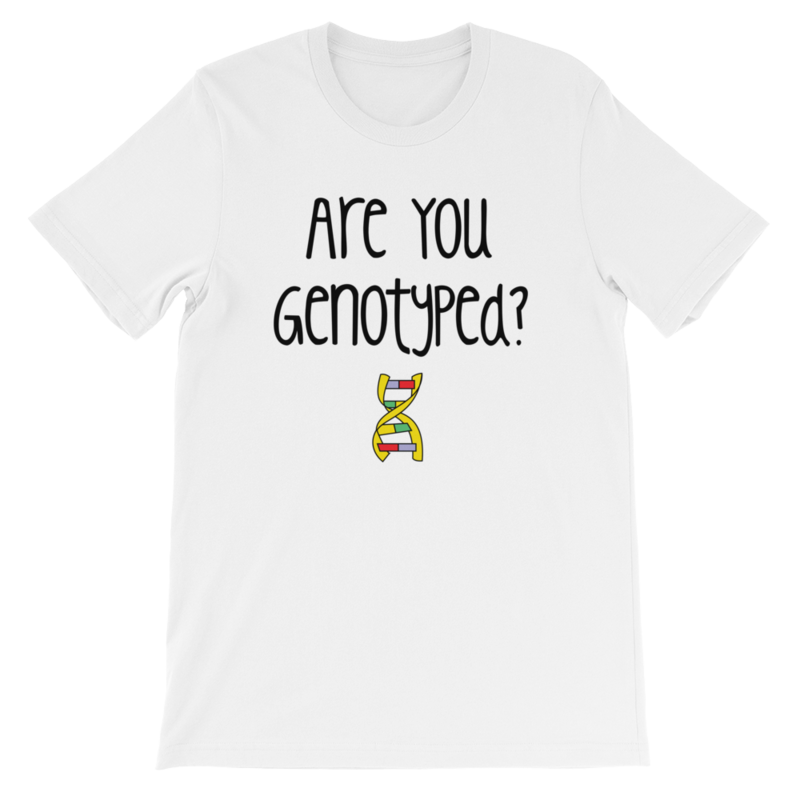 The perfect shirt to get folks thinking about genetic genealogy and personal genomics. The shirt features a design by Razib Khan and feels soft and lightweight, with the right amount of stretch. It's comfortable and flattering for both men and women. Tear-away label, so no annoying shirt tags!